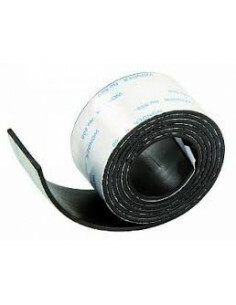 Ménage Il y a 6 produits. 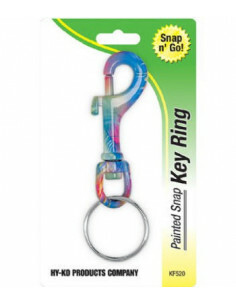 Painted snap key ring, assorted colors, snap onto belts, backpack, totes, carded. Red background yellow font. 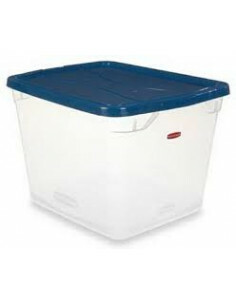 Polyethylene house shaped die cut, bright, attention getting colors. 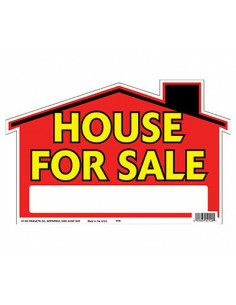 Size: 9" x 12" Polyethylene house shaped die cut Bright Attention getting colors Red background yellow font. 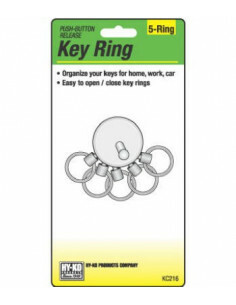 Key release key ring, easy release from key ring, carded. 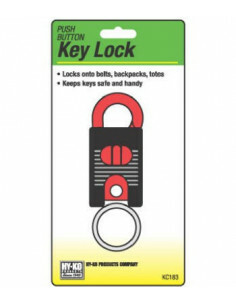 Plastic key clip, opens with a push on the button, closes with a push on the clip, clip to a belt loop, purse strap or similar item, assorted colors, carded.